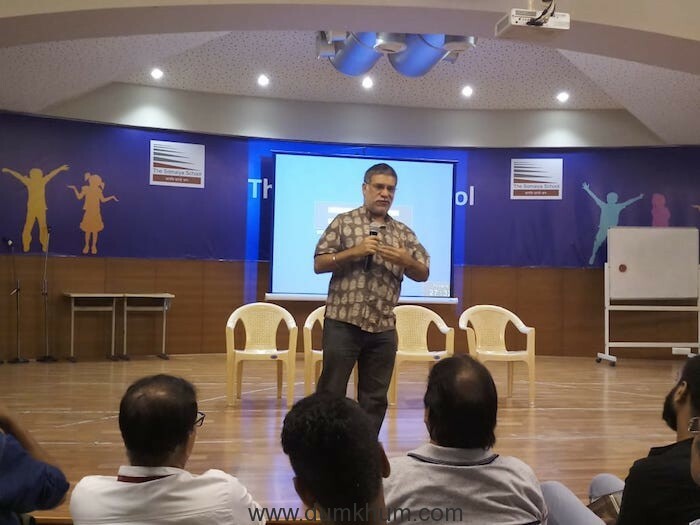 “It is high time for every school and university in the new India to introduce the subject of poetry as part of their curriculum or form poets clubs/society or hubs for the students to develop a sense of excellence in life skills”, said filmmaker Subhash Ghai while moderating the workshop on art and technique of poetry with the legendary poet and lyricist, Gulzar saab at the Mumbai campus of Whistling Woods International (WWI). Gulzar saab appreciated the documentary made by the students on the evolution of poetry in the world and Indian cinema. 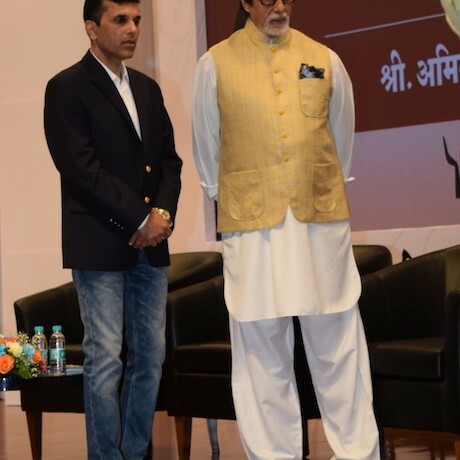 He also shared experiences from his early life – from when he used to participate in Antakshari with his friends and create his own lines in shayari, adding a flavor to the art to his initial working days when he used to work in a motor garage, mixing paints. It was destiny that introduced him to filmmaker Bimal Roy through a friend and finally he wrote his first song, ‘Moraa Goraa Ang Lai Le, Mohe Shaam Rang Dai De’ for the film Bandini, which brought a new flavor into the world of lyric writing of Hindi cinema. The insightful evening commenced with six students reciting the poems written by them to pay tribute to Gulzar saab – the legend. 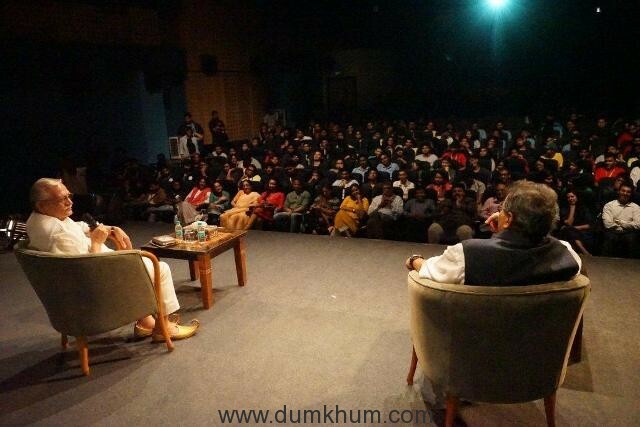 The auditorium resonated with thunderous applause as Gulzar saab blessed them and appreciated their approach to write original poems. 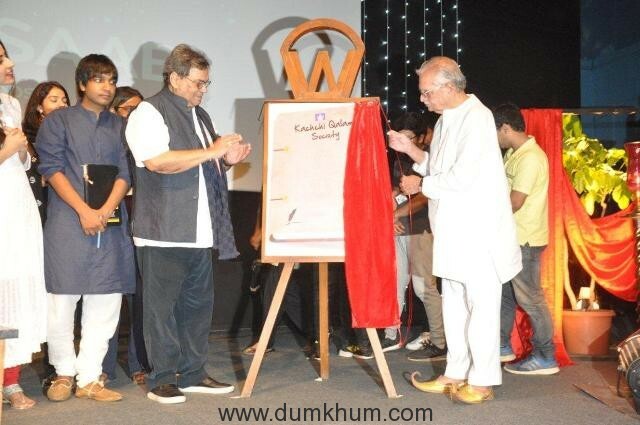 The highlight of the 5th VEDA cultural hub of WWI was when Gulzar saab inaugurated the student’s poetic society, ‘KACHCHI QALAM’ initiated by Subhash Ghai and the students of the institute. Gulzar saab drew the inaugural curtains off the launching page of the poetic society and wrote an original line to mark the start of the beautiful initiative – ‘Dil Agar Hain Toh Dard Bhi Hoga, Iska Koi Nahi Hai Hul Shayad’. 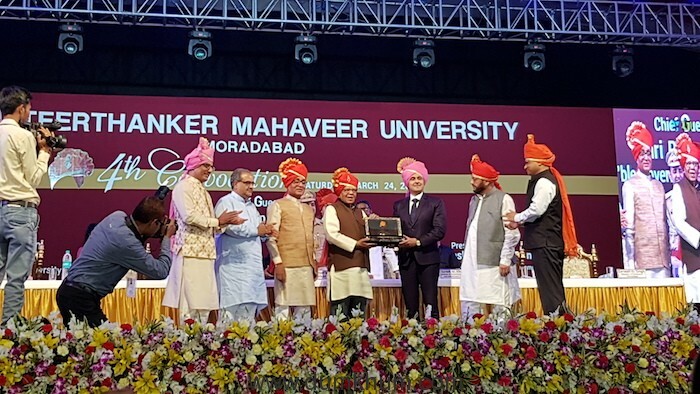 The 400 students present in the auditorium gave a standing ovation for his gracious gesture of inaugurating the poetic society at the WWI campus. 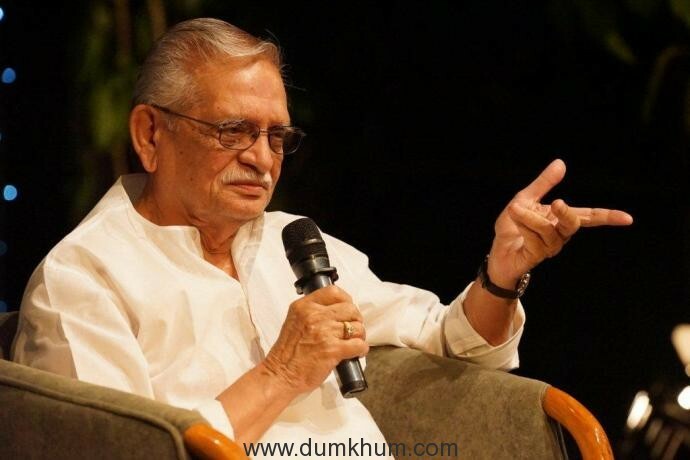 The Academy award winner for the song ‘Jai Ho’ from Slumdog Millionaire and Padma Bhushan, Gulzar saab confessed his inclination towards Bengali literature, which later inspired him to write many memorable songs for several Bengali filmmakers and he eventually also got married to a Bengali actress, Raakhee.